Transbloc speciality silica, developed with low refractive index is best utilized in clear and transparent systems where improved anti- block, thermal efficiency, Visible light transmittance, non- reactive ir absorber and resistance to moisture are required. Thermal Efficiency In Greenhouse Films. Transbloc improves thermal Efficiency in air inflated double Layer polythylene in high and Low tunnel applications.thermal Ldpe films with transbloc retain nearly 70% more heat than unfilled polyethlene. With strong infrared reflection properites in mid range (1400 – 700cm) wavelength region, transbloc filled polyolefin films retains as much as 88% of captured light energy. The cost benefit is greatest in cooler climates where the retention of accumlated greenhouse heat that would otherwise be lost overnight reduces supplement space heating cost. Transmits more photosynthetically active radiation (par) to accelerate photosynthesis. Because transbloc refractive index essentially matches the host plastic, visible light transmittance can measure in excess of 90%. This acclerates crop growth, increases yield and improves quality. Transbloc refractive index also permits loading levels in excess of traditional 12% limit to optimize thermocity without degrading optical properties. Flow and dispersion properties make transbloc a natural choice for highly loaded flims. It Can also be used to modulate indirect or diffused light in horticultural film. High filled thermal films can have as much as 60% haze and still promate accelerated plant growth. By comparison transbloc containing films typically deliver combined direct and indirect light transmittance in excess of 90%. The advantage is uniform plant growth without the shadowing or burn defects characteristic of unfiltered direct sun exposure. Transblock purity helps thermal film lifeline by eliminating the primary catalysts of enviromental weathering. In silage and field storage application transbloc improves uv stability for reduced storage losses, improved integrity in handling and extended useful life. Transbloc does not block ultra-violet radiation and thermal film formulation should always contain uv blockers, stabilizers and antioxidants to avoid plant burn. Transbloc is fully compatible with hals type and similar process additives and will not absorb or interfere with the effectiveness. It is compatable with all polyolefin thermal film resin system and production method and its incorporation does not degrade film mechanical properties. It is used in plastiosols, thermo plastic rubbers (tpr), and pvc compunds as anti- block agent. Dry film durablity confers crack resistance and in combination with high filler hardness provides high abrasion, scrub and burnish resistance. 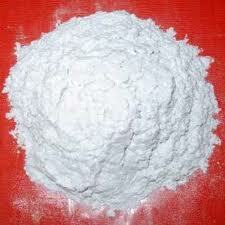 Used as an extender pigment particulary in exterior latex paints. Transbloc is almost transparent to ultra voilet light and will not inhibit uv activation of the resin or the final cross-linking reactions. It offers low vehical demand high dry brightness with low tint strength and resistance to abrasions and chemical degradation and the best photochemical stablity and the low oil absorption offers the best combination of pvc loading with improved gloss retention and chalk resistance.it has low melt viscosity and high loadings. Improved abrasions resistance and melt flow have been noted. Shape and particle distribution size also promote flatting and low angle sheen.